Certified photos of damages and sea report, details of damage, clickable sketch. answers to frequent questions in case of sea damage, preventive measures and answers regarding insurances contracts. 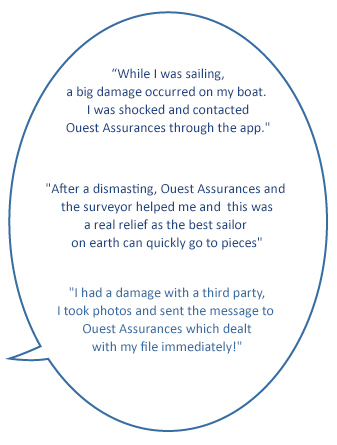 Before sailing, download the Iplaisance app, enter your contract number. Iplaisance is full of useful numbers and tricks, of navigation advice. In case of damage, the aps will guide you in all necessary steps. Describe the nature of the event, indicate the event date as well as the damage details. You can select the impact points by ticking on it. You can indicate a damage estimate and write all useful information. Preventive measures before sailing, mooring, launching.